As the Christmas and New Year holidays fade into memory, winter stretches on with each day gaining a bit longer. We come home after a long day and tuck ourselves in, away from the cold, happy to be surrounded by family and excited to have friends stop by for a quick cup of coffee or a weekend get together. The next holiday is Valentine’s Day brightening up the winter months and warming our hearts with love, sweet surprises, and pure fun. Valentine’s Day was originally meant for lovers to show one’s sweetheart how much one was loved and cherished. In many ways it still has its original meaning. However, it is no longer just for lovers. Thorough the years, more and more people are celebrating at Valentine’s Day those that are cherished – parents, children, neighbors, friends, and even close relatives. It’s a holiday meant for everyone. Here at The Magnolia Company we know all about celebrating the holidays with family in the style we have cultivated over the past eighty years. Whether it be decorating your home; sending a friend a fresh wreath or choosing a live blooming plant for your mom or dad we have you covered. Our Heart Afire Wreath is a beautiful way to symbolize love for the holiday when hung on the front door or leaning on the mantelpiece. It projects warmth be the red color and alluring texture of each mini pinecone. When stored properly it can be brought out in subsequent years to celebrate Valentine’s Day in style, thus becoming a treasured accent piece. The Lacquered Wreaths in our Valentine’s Day Collection come in many bright spring shades including pink as well as the traditional red. 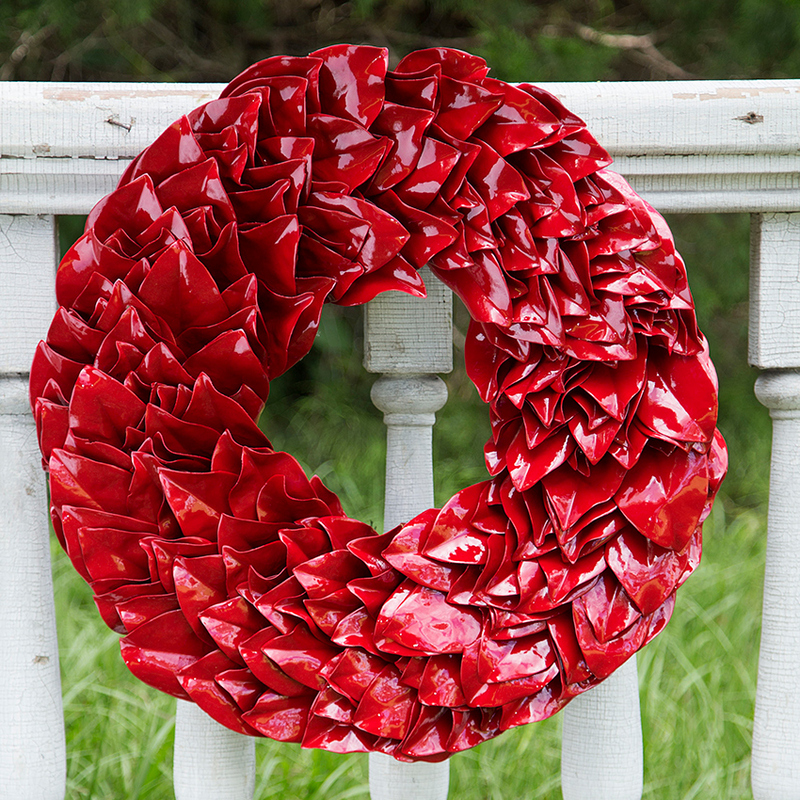 These wreaths have become popular for their rich color and layered design. 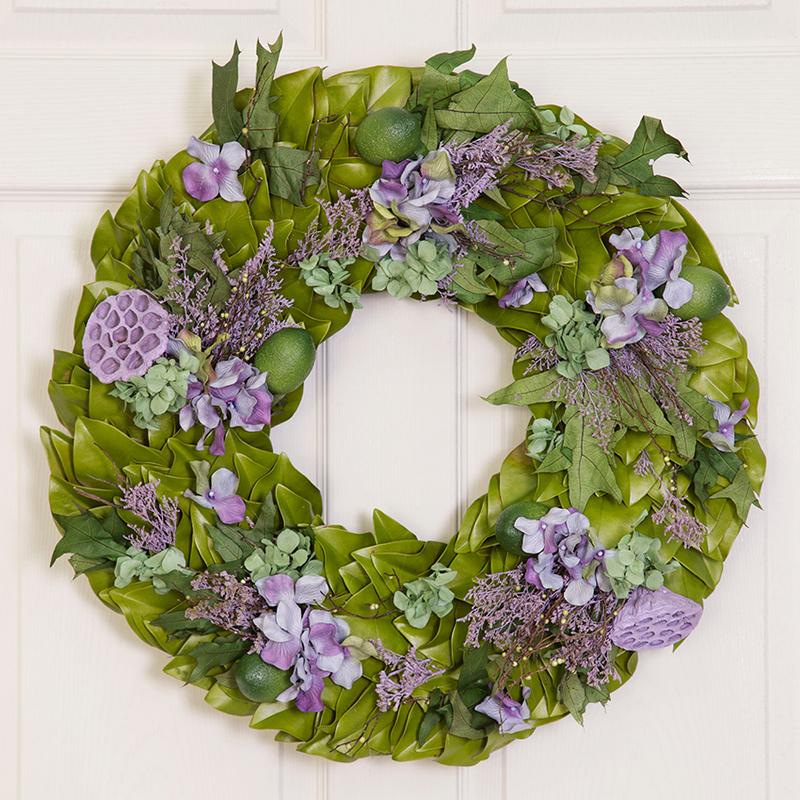 The Lavender & Lime Wreath is a perfect fit for Valentine’s Day, but can also be left up through the spring and Easter season with its use of purple hydrangea accents, vibrant limes, and lush green magnolia leaves as a back drop. 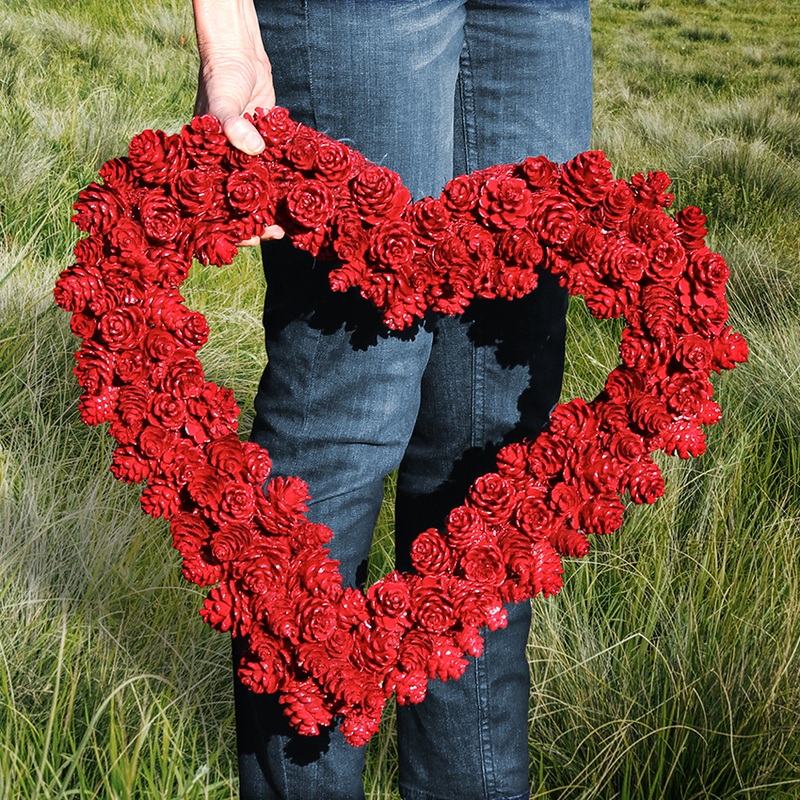 Surprise and delight your friends and family on February 14th when you send them one of our fresh blooming plants. 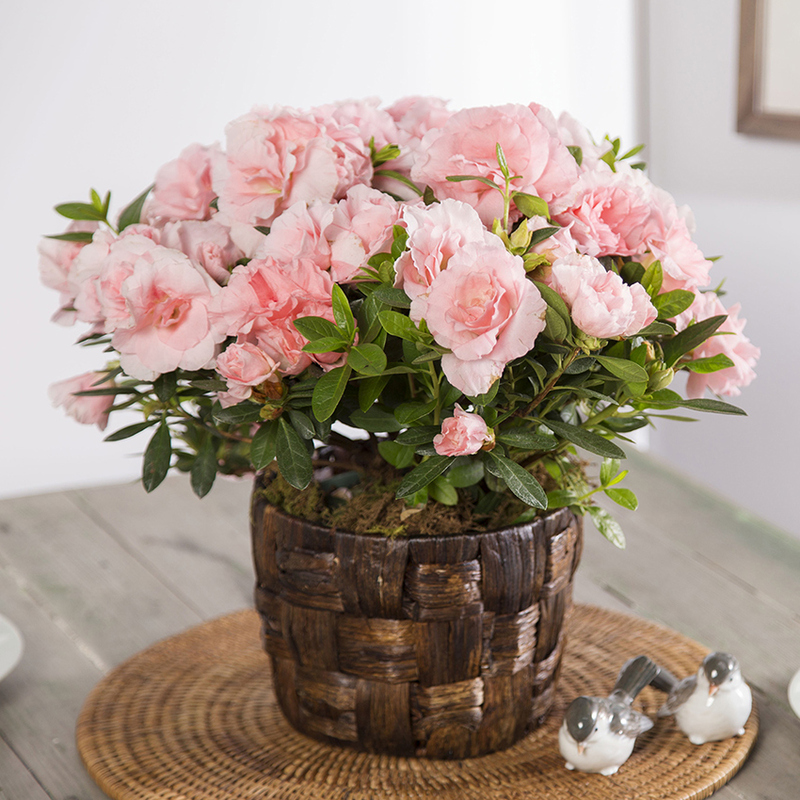 A pink azalea, says it all with its ruffled pink blooms and lush foliage. 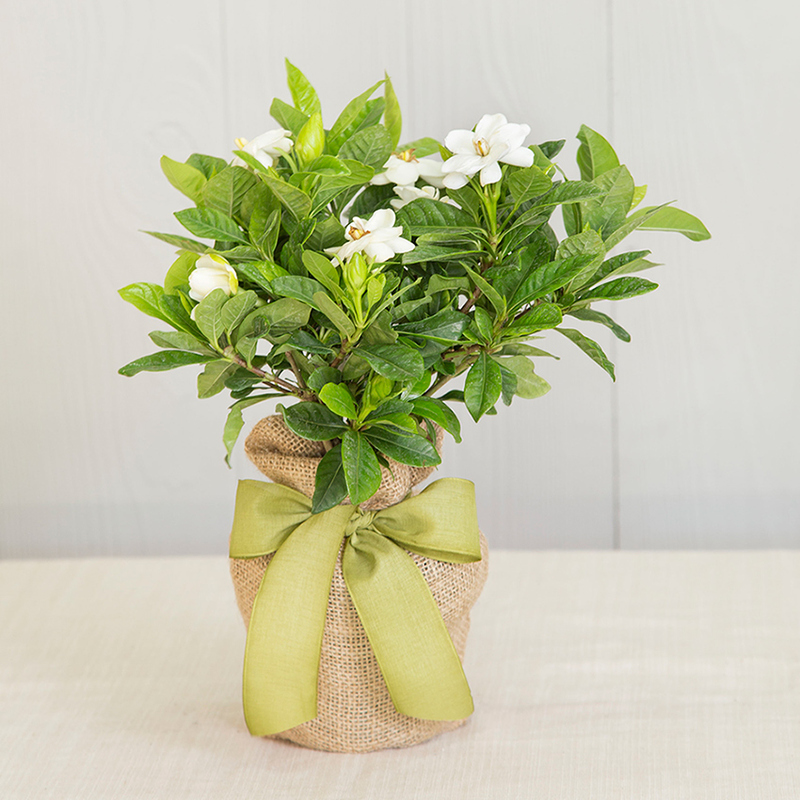 A fragrant white gardenia is also a winning choice. Don’t forget your loved ones this Valentine’s Day – let us help you send the very best expression of your love and appreciation.